Sorry, this offer has expired. Update 10/26/10: I’ve confirmed directly with Murad that this offer is available through October 31. They still say “while supplies last” but they haven’t run out yet! Buy the book “The Water Secret” by Howard Murad, M.D. and get a Murad Goody Bag with up to $200 value Murad goody bag (could contain full-size products, samples, and coupons). Amazon has this book on sale for $11.07 and it includes free super saver shipping (free 2-day shipping for Amazon Prime members which you should be getting for free if you joined Amazon Mom). Hopefully you’re earning free Amazon gift cards from Swagbucks. Here are the details from Good Housekeeping (just say “Skip This Ad” then scroll down) about this hot promotion. It’s “while supplies last” and you can make your purchase from any online retailer or local retailer. In order to claim your free Murad Goody Bag you need to email your purchase confirmation here. You will immediately receive a response that says “We have received your email and will be following up with you shortly. Please allow up to 2 business days.” Thanks goes to Frugal, Freebies and Deals for breaking this hot new promotion! How long after e-mailing your receipt to Murad until you got your confirmation that your bonus was being shipped? Or did it just show up one day? I sent mine on the 29th and I still have yet to receive anything other than an acknowledgement of receipt of my receipt. I got my AWESOME package from Murad from The Water Secret book. It said up to $200 in free samples with at least one full size sample. I got 5 full size (moisturizer, sunscreen, night serum, pomegranate lip therapy, eye cream and two smaller samples. Fantastic deal! Yeh! I also got the email that heather posted above. I got it just a little while ago. Can’t wait for the samples. NO, I haven’t received a 2nd email from Murad after getting the 1st one after I forwarded my email that had my order on it–that said will hear from them after 2 business days. Huh? wonder why they aren’t emailing back? Has anyone received any info on the Free Goody Bag. E-mail says allow 2 days. Its been 4 and I haven’t heard anything else. Just wondering. No Milano’s here, waiting anxiously. Not to be a downer here but if you read the fine print it says “while supplies last” and “UP to $200”. Buyer beware. You might end up w/a single lip balm or nothing at all! For those that do get it and lots of goodies….AWESOME! I used my Amazon gift cards I earned through swagbucks. So this was a great deal. Thanks. Random question: Has anyone got their Milano cookies yet? I love Murad products so I jumped on this. Thanks! AK and HI do not qualify for the Mom’s Prime Shipping deal…stinks! We only get it if we spend the 25.00 on qualifying purchases. If you joined Amazon Mom (it’s free) then you get free shipping with Amazon Prime. I had to Google Murad to find out what it is. Dr. Murad wrote “The Water Secret” and runs the Murad company. Free shipping is only good on purchases in the Continental US of $25 or more. Heather Hernandez founded Freebies 4 Mom in 2007 to share freebies with moms. She was so excited about the freebies she was finding, that she had to share with thousands by creating a blog. She lives in Houston with her husband and two sons. 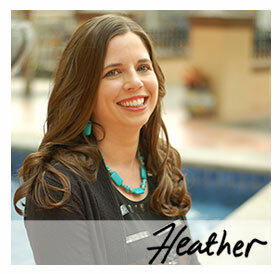 Read more about Heather and contact her with questions.